There’s no doubt that learning about and observing local wildlife is an incredible part of travel. When Nathan & I go anywhere, we are always hugely interested in any animal experiences or wildlife possibilities. There are so many destinations, too, that are known for fascinating, even crazy wildlife. Throughout the years of our travels, you can bet that we’ll be making it one of our goals to seek out some of the top wildlife experiences around the world. Wherever we travel, we’ll also be looking for responsible organizations and places that treat animals ethically. We don’t plan to ride elephants or knowingly participate in activities that have adverse affects on wildlife populations. We decided to put together a post that highlights some of the coolest animal encounters across the globe. Suffice it to say, we want to do everything on this list! We present 30 of the very best to you, contributed by friends and fellow travelers. Read on and start putting together your ultimate wildlife bucket list. Wombats are incredibly adorable. They are funny looking, small, squat creatures with butts of steel. And usually very timid, nocturnal beasts. It’s rare to see a wombat during their wandering time at dusk and even rarer during the day. Not at Cradle Mountain Lodge, Tasmania. A wonderful area where the wombat freely roams and rules the roads. Seriously those butts of steel can cause a lot of damage to your car. You don’t need to go on a safari tour to see the waddly wombats. 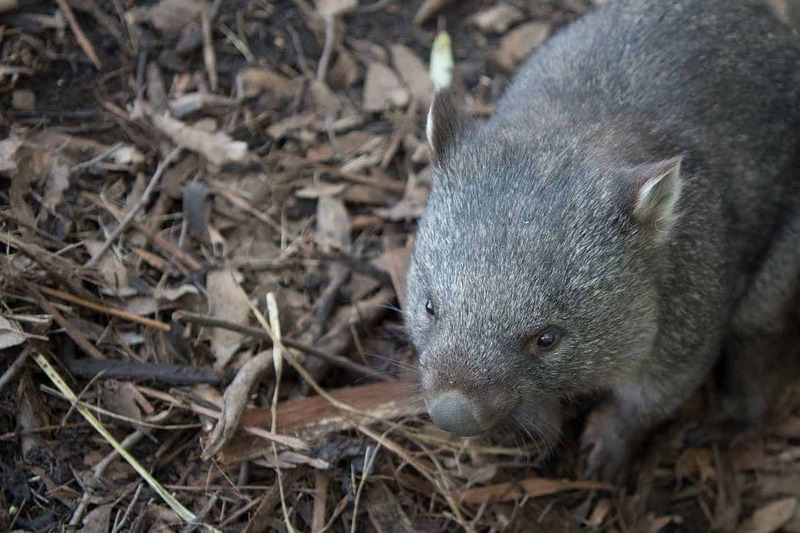 A quick stop at the cafe outside the lodge to grab a coffee and pop on over to the carpark and you’ll soon find the wombat roaming wild and free. And ignoring you. Though if your budget allows I highly recommend staying at the Lodge to really experience this beautiful area of Australia. The easiest way to get out to Cradle Mountain is to hire a car and drive yourself. It’s approx a 2.5 hour drive to Launceston. In reality Tasmania is a really small state and it’s an easy drive whether you arrive in Hobart or Launceston. If you don’t drive there are buses that depart from Launceston. Just a note that these buses are generally full of hikers who are heading out to complete the popular Overland Trek. There are very few accommodation and food options available on the mountain. The Osa Peninsula on Costa Rica’s southwestern end is home to Corcovado National Park, a place National Geographic has deemed “the most biologically intense place on Earth in terms of biodiversity” and where 10% of all the wildlife in Central America lives. 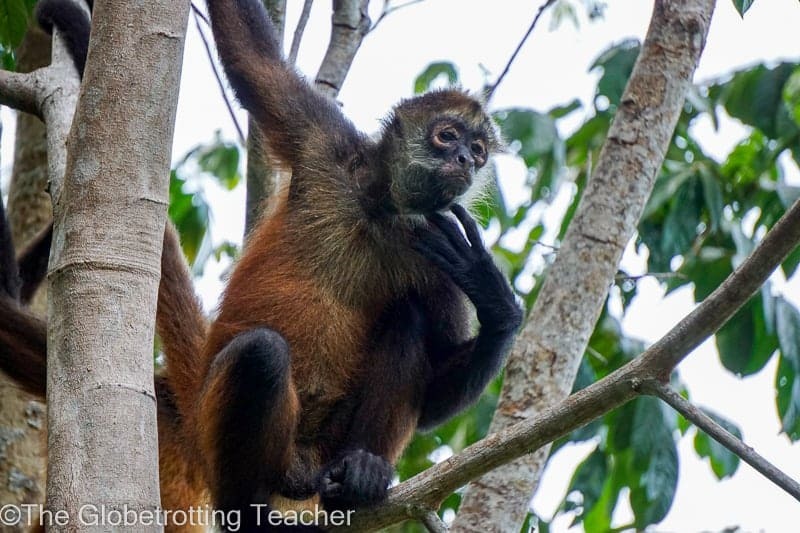 Corcovado National Park and the surrounding area is the only place in Costa Rica where you can spot 4 species of monkeys, squirrel, spider, howler, and white-faced capuchin. The park is home to a population of Baird’s Tapir, the largest mammal in Central America. Two and three-toed sloths hug the trees, while Corcovado’s felines, the jaguar, puma, and ocelot to name a few, move between the dense primary forest floor and the tree limbs overhead. Peccaries, coatis, and agoutis forage along the ground, while anteaters have plenty of ants, termites, and other insects on which to feast. Of the nearly 400 bird species in the National Park and the surrounding area, the scarlet macaws are by far the most vocal. Within the National Park and around the Osa Peninsula, waterways are alive with bull sharks, American crocodiles, spectacled caimans, several dolphin and whale species, sea turtles, manta rays, manatees, and an abundance of fish. And if the diversity of wildlife species doesn’t already have you booking your flights, the density of the wildlife will. Our first moments in the National Park included tiptoeing through tall grass to spot a mother Tapir along with its baby. On a different day out on the water of the Golfo Dulce, a family of dolphins raced and jumped alongside our boat within moments of leaving the dock. For wildlife travelers in search of bucket list experiences, look beyond Costa Rica’s more touristy areas and set your gaze on wild Corcovado and the surrounding land and water of the spectacular Osa Peninsula. Seeing dolphins on the coast of Bali might not be something every visitor to the Island of gods has on the itinerary. 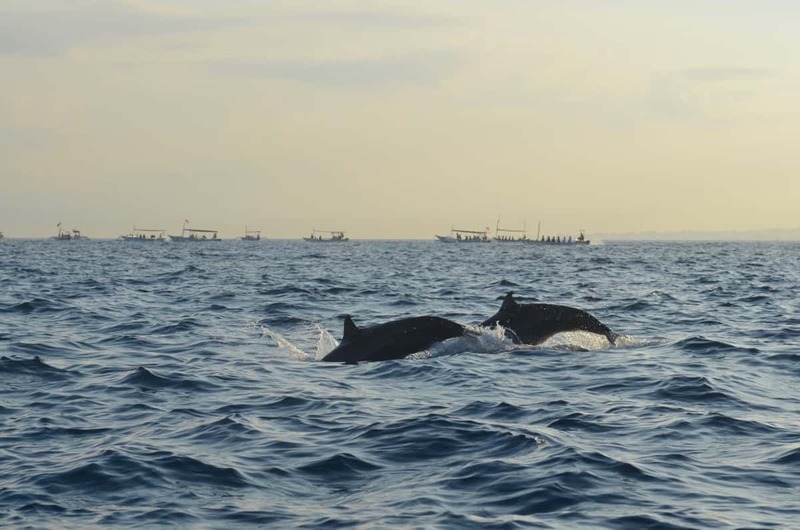 This is due to the fact that the best area to go on a dolphin tour is not on the popular south coast of the island, where most resorts are located in Kuta, Seminyak and Uluwatu. The best place to see dolphins is on the north coast close to Lovina. Arrive a day before, because you have to stay overnight to drive out to the sea in the early morning when it’s still dark. The second you will arrive on the right spot, the sun will rise and the dolphins will automatically be attracted by the boat. Be aware that you are never the only one who wants to see them. So on a busy day it could end up in a dozen boats or more “chasing” the dolphins who love to play with the them by suddenly coming out of the water and disappearing in the same way. Although this has a somehow weird feel to it, it is the dolphins that play with the boats, not the other way around. And in this sense, it’s a true spectacle. Orang-utans are among the most threatened primates on Earth. They only live in two places; the islands of Borneo and Sumatra. 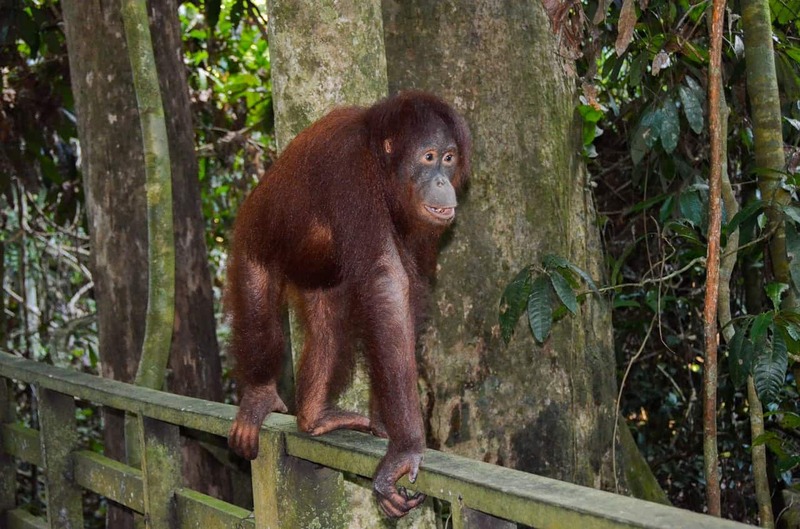 In northern Malaysian Borneo, near the town of Sandakan, is Sepilok Orang-utan reserve. This is a special reserve where orphaned orang-utans (and some other animals) are slowly prepared for release back into the wild. Much of the work is hidden from public view to protect the orang-utans, but you can see some of the adolescents learning from a distance. Trained adolescents are then released into the neighbouring jungle, although they’re free to return. Twice a day, some fruit is offered on a feeding platform – and it’s this feeding that is the main attraction. Because the orang-utans are free to live in the jungle next to the reserve, sightings aren’t guaranteed. We saw only two at feeding time, but actually this is a good thing. It means that the orang-utans are learning the skills they need to stay in the wild and not rely on humans. These guys hung around for quite a while though, giving us plenty of time to get a good look. As we walked around the reserve, we also spotted other orang-utans – one strolling into a building, and another perched in a tree, watching the visitors watching him. It wasn’t quite spotting completely wild orang-utans, but it came pretty close! Velas is a small eco-friendly village about 200KM from Mumbai. Velas beach was one of the many location where the female Olive Ridley turtle comes to lay its eggs but till few years back, none survived because of other animals who hunted the predators. To protect these eggs and baby turtles an NGO created awareness amongst the villagers and got local volunteers to work in a conservation project. They also decided to promote these activities in the form of Kasav Mahotsav meaning Turtle Festival, where people from other towns and cities were invited to see the activities of the project and also witness how the eggs are protected and the way the babies crawl out of the eggs and make their way to the sea. Another thing we learned was that the Olive Ridley sea turtles practice arribadas. It means large scale synchronised nesting. Groups of female turtles come ashore during a specific period for laying their eggs, pushing with their flippers till they reach far inside and then digging holes one metre deep before laying eggs. 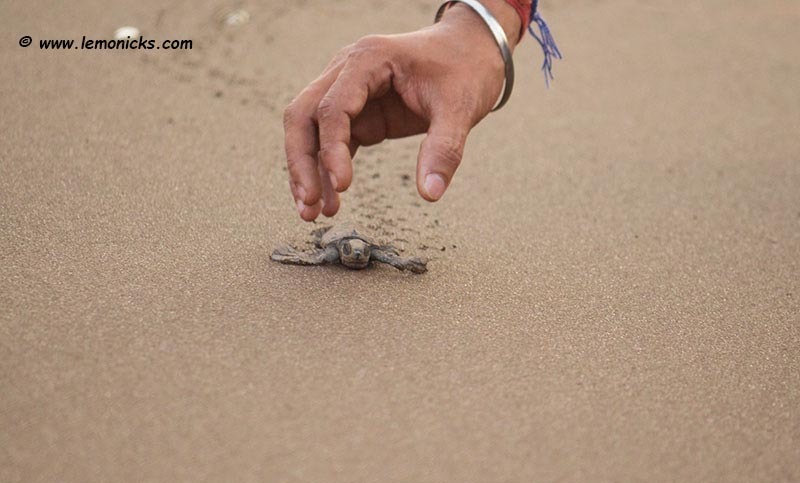 Later when we witnessed this “Birthday” of the baby Olive Ridley turtle, we saw the overwhelming emotions of the crowd that was literally cheering and encouraging the baby turtles on their way to safety of the sea! How to get there: From Mumbai and Pune, there are several touring companies who conduct a 2D/1N trips to Velas. One can go in a private vehicle as well. Accommodation: Almost every house is a homestay. One can walk in and negotiate. Weekends are bound to be very crowded. Elephant tourism has made great progress in the last few years, with increasing awareness of responsible and irresponsible practices amongst the general public, and a growing push toward ethical practices in the industry itself. There is so much more work to be done with a great deal of unethical elephant trekking camps still exploiting these amazing animals, but when you find a tour operator getting it right it is truly magical. That is what happened on an elephant safari at Gal Oya National Park. Our group was kept purposely small, not only to fit in the tiny boat but to minimise any impact on the elephants that were out there, and after a short lecture on the park and the conservation efforts there we were told there would be no guarantee that we would even see an elephant at all. If they decided to show themselves they would, but the ranger insisted we would not be chasing them. It was then I knew I made the right choice in the tour operator I was using. After a long period of slowly drifting around the national parks islands without seeing anything, one of our guides spotted something in the distance and shut down the quietly sputtering engine. Reminding us all for the need for silence he urged us to hunker down and pointed at the shore. There they were, in the distance, a family of elephants just going about their business, completely wild and oblivious to our presence as we floated silently past. 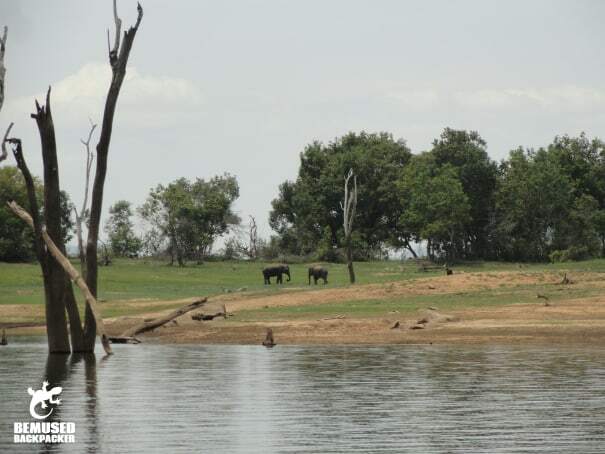 To say it was an awesome experience is an understatement, to see elephants in their natural habitat without disturbing them or encroaching on their environment. That is responsible elephant tourism. The Falcon Hospital , just on the outskirts of Abu Dhabi city is one of the most overlooked but fascinating places to visit in the UAE. Falcons have long been an integral part of the Bedouin way of life and falconry a much revered skill. Whilst the need for hunting is certainly no longer essential for survival, falconry is still seen an essential part of their culture with skills handed down the generations. 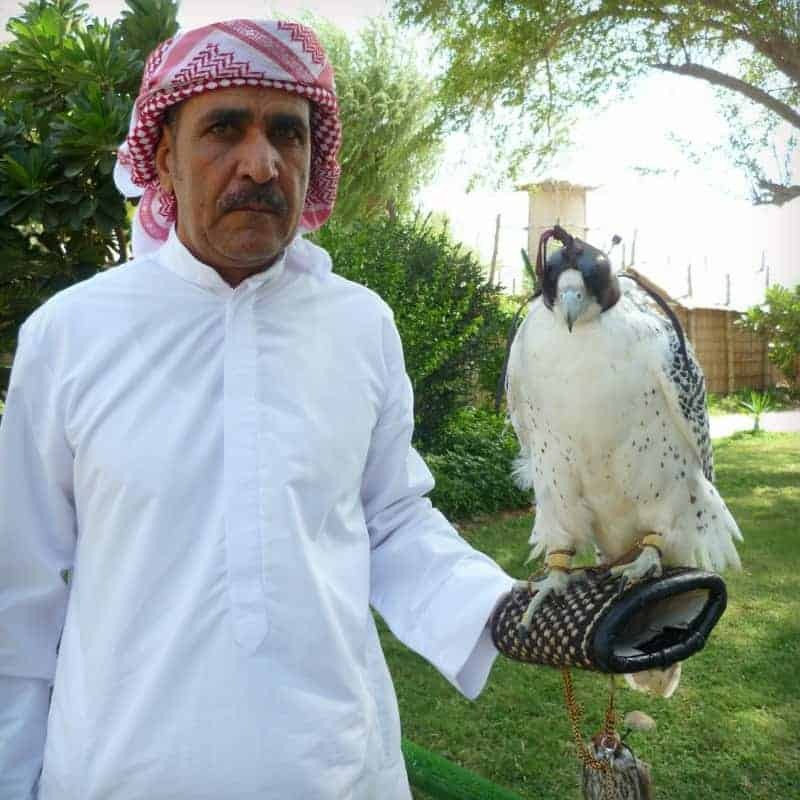 Falconry is now strictly controlled by the Government to prevent illegal capture and the Abu Dhabi Falcon Hospital places an integral role in keeping the birds healthy outside of hunting season. Learn the truth behind the art of falconry, find out how they are transported and cared for and see real life medical procedures being carried out on these magnificent creatures. The team at the Falcon Hospital are very informative and attentive during these 2 hour immersive tours. Places on their twice daily tour must be booked in advance as they limit numbers [or you can book with Get Your Guide]. You rarely think of mountains, frozen lakes, flamingos when you’re thinking about Bolivia! Yet this was by far the highlight of our recent trip to Bolivia. A days drive away from La Paz and past the hustle and busy of the many cities and villages you’ll get to experience the wonder of seeing flamingos in the wild. Not just flamingos, but vibrantly pink flamingos hidden amongst the valleys surrounded by mountains. And in the freezing lakes. Without a doubt you will be as mesmerised as we were by the freezing cold, gusts of winds and the raw beauty of the flamingos. Who, by the way, will totally and completely ignore you. Getting to this part of Bolivia can be a bit tricky. You’ll need to either hire a car and a local guide or join a tour to Laguna Colorado. 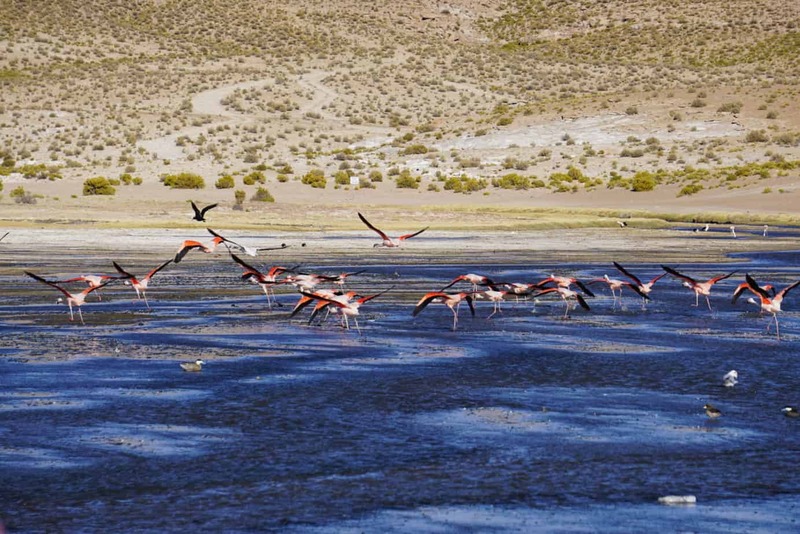 The laguna is located within the Eduardo Avaroa Andean Fauna National Reserve . The most common way of getting here is with a 3 day, 2 night tour from Uyuni or San Pedro (Chile). Accommodation along the way is super basic and there’s no cell phone reception or charging points. It’s an adventure within itself to get to see the flamingos. If you are a lover of the ocean, then swimming with whale sharks should absolutely be on your animal encounter bucket list. These graceful giants of the ocean aren’t actually whales or sharks at all just really big fish, so there is nothing to be afraid of. In fact, they spend their days eating plankton and even though their mouths are quite large it is impossible to get sucked inside due to their rows of gill rakers and their esophagus measures only inches across. 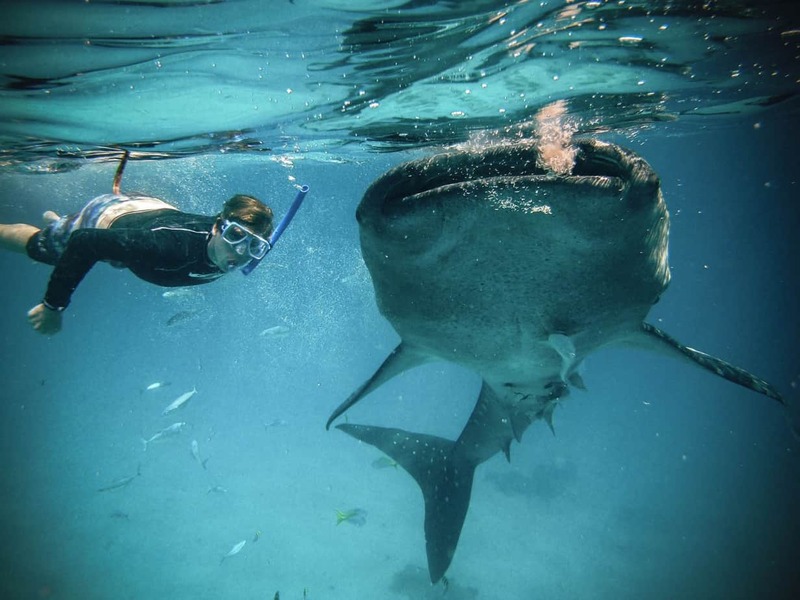 There are a few places where you can swim with whale sharks during their migration and some of the best places are Cancun or Isla Holbox off the coast of Quintana Roo Mexico. The ideal time to go out is between June and mid-September and remember that you’ll be out searching for the whale sharks for some time so remember to wear plenty of sunscreen to avoid a nasty burn. Once a whale shark is spotted only 2 people per boat are allowed in the water at any time so everyone will have to take turns to jump in with these beautiful creatures. But trust us, those precious moments are ones you will remember forever. They truly are beautiful creatures. I love animals. I really do. When I travel I make a valiant effort to include the creatures of the Animal Kingdom in my itinerary wherever possible. China was no different. 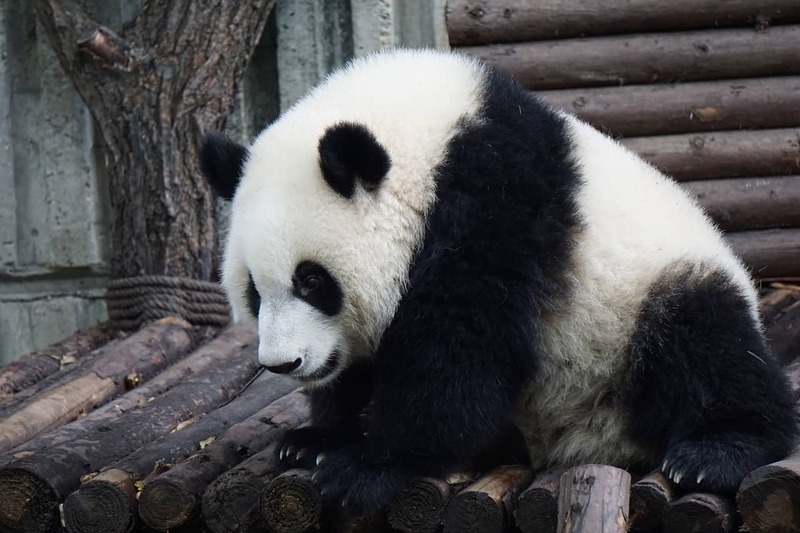 When booking my 3- week tour, I ensured an included trip to the most ethical Panda Research base in the country located in Chengdu was on my intinerary. This sanctuary for China’s national animal opened in 1987 with a mere eight bears. Since then, with dedicated work, effort, a ton of research, and perseverance, the base has increased its number of bears to 83 and have assisted in nearly 130 cub births. I arrived in Chengdu. I was feeling sheer excitement for the upcoming trip to the research base. I also wondered if an encounter with the pandas was possible. Now, I am completely opposed to mistreatment of animals for the sake of tourism and traveller whims. I only consider experiences where the animals are not treated poorly, domesticated, or put in a position where they are in any sort of distress. So, when I learned of the experience here at the Chengdu Panda Research Base, I was impressed. The encounter is by request only. I like this as it is not an advertised experience attracting thousands of guests daily. It is also a hefty $300 US to do the experience with the entire fee going toward the care and research efforts for the pandas’ well-being. Once paid, guests are escorted into the encounter area where they are given scrubs to cover their outdoor clothing and shoes. No chances are taken with the care and livelihood of the protected animals. You then must wait to have your picture taken with the panda who is acting natural. He sits on a chair beside you, BUT, although he is brought there with a piece of bamboo, if he decides to leave for any reason, he can and is not forced to remain still. The trainers are there to ensure you are not bitten or hurt by the animals, but they do not touch them, and just distract them from touching you. After your photograph, the researchers give you a little background on the work being done and efforts made to re-introduce the animals back into the wild. It was such a heartwarming and rewarding experience. Not interested in the encounter or not within your budget? No problem! Plan on spending a few hours at the sanctuary, preferably in the morning, to watch the pandas in their spacious and vast outdoor enclosure playing, eating and sleeping. The earlier you arrive, the better chance of seeing them being active. After enjoying the giant pandas, continue through the lush garden pathways to check out the distant cousins of these guys – the red pandas. 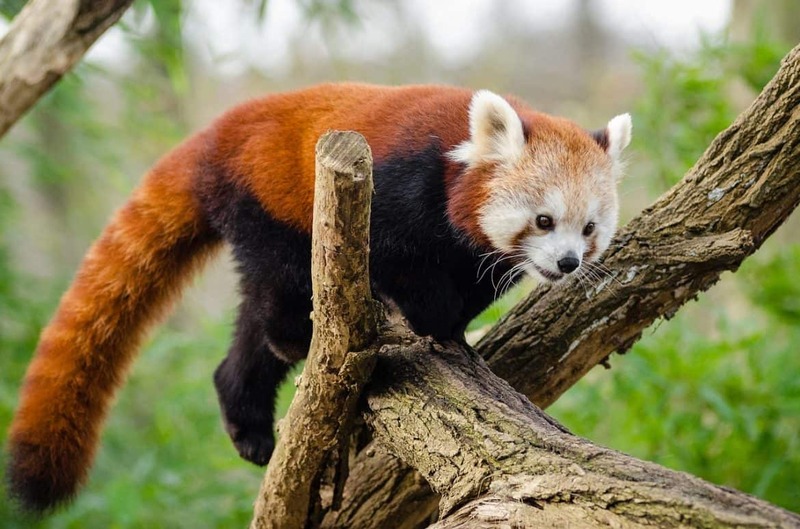 A drastically different animal, the red pandas are much smaller and resemble raccoons. They are quite beautiful and active. Their tails in particular are quite striking with the stripes upon them! In conclusion, if you are looking for a great ethical and cultural experience on your China trip, you cannot go wrong with the Panda Research base in Chengdu. It truly is a highlight to any itinerary. With only 900 mountain gorillas left in the world, seeing one in the flesh is but a dream for many. These gentle giants are unable to survive in captivity which means the only opportunity to see them is found in the wilds of Uganda, Rwanda and in the Democratic Republic of Congo; though doing so is an expensive exercise, without doubt, it’s an incredibly memorable experience. A number of habituated gorilla families are found in the region – these groups are slowly introduced to people and over time become accustomed to their presence. Each day, these family groups are tracked and through the forest and animal lovers are invited to follow them through the bush in the hopes of getting that once-in-a-lifetime gorilla interaction. Some groups hike for hours through challenging terrain in a bid to find their mountain gorilla family but we were incredibly fortunate to find our first silverback less than 30 minutes walk from the road. Imposing but surprisingly gentle, we’ll never forgot the first moment we caught sight of the patriarch of the family. We continued to stand quietly in their presence, watching the young swing from the overhead vines whist the adults munched their way through and unbelievable amount of foliage. 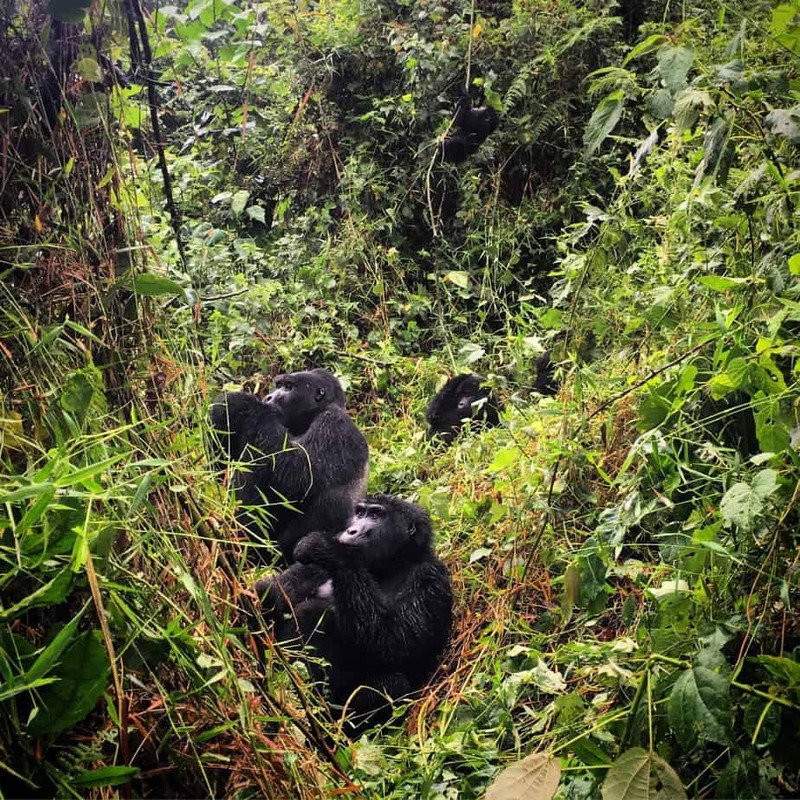 Yes, tracking mountain gorillas is an expensive undertaking but with such limited numbers in the world, not only is it an experience to remember forever but your fee goes towards the on-going protection of these amazing animals. Sounds like a “win, win” situation to me! 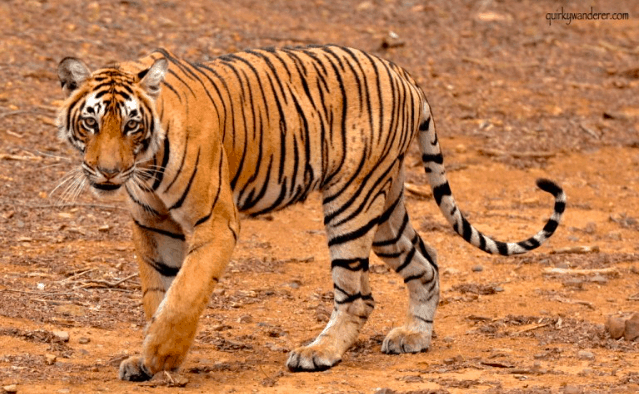 It was my first ever Tiger safari and in the sweltering heat of Western India, my eyes scourged the jungle for a speck of the orange and black coat. I had never seen a tiger in the wild. As I gazed at the spotted deer grazing in the meadows, suddenly the guide heard a warning. The call of the peacock. A tiger was near. Within minutes I saw the majestic cat. The gait, the strides it took left me in awe. I could barely sleep that night. Next day we were off again. This time I hoped I could see it in the eye. As if the universe conspired it, there was another chance encounter. It came straight out of the bushes, looking for something. I whispered in my mind, “Look at me, look at me!” And voila! She looked. This time straight in my eye. My heart skipped a beat. That piercing glare! I couldn’t sleep that night. The next morning as I left for the safari, I was still under the hangover of the last tiger sighting. The guide jokingly said “Today, the tigers are on a holiday!” I laughed and blurted, “No today we will see three!”. And no prizes for guessing. We DID see three. I have seen many tigers since then. Each sighting is special. But this one will always be the closest to my heart! When taking part in animal tourism, it is important to do your research. There are so many forms of unethical animal tourism and sometimes it can be hard to decipher what is okay and what’s not. One of my favorite forms of animal tourism is visiting sanctuaries. These can come in several different forms: farm animal sanctuaries, wildlife sanctuaries or companion animal sanctuaries. As a vegan and animal activist, I’ve made it my mission to visit one sanctuary in each new country I visit. When I visited Ireland, I’m became aware of The Donkey Sanctuary and knew immediately I must visit. 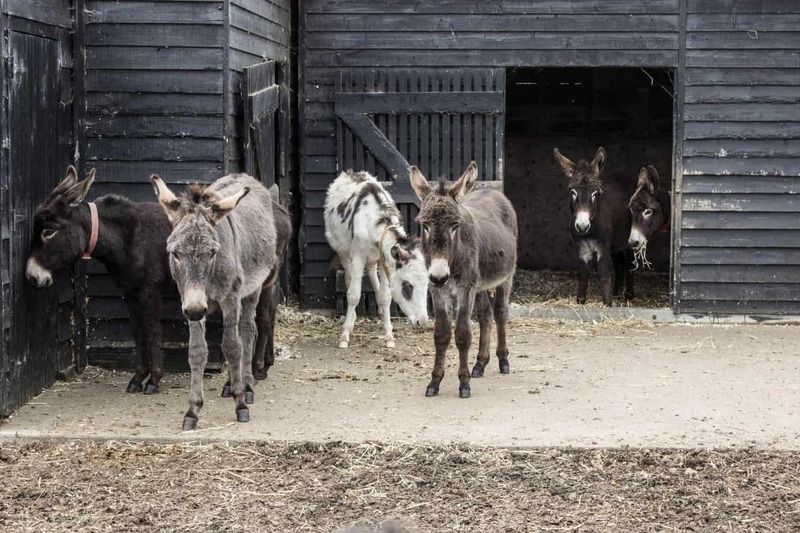 The Donkey Sanctuary does absolutely amazing work benefiting donkeys and mules that are abandoned, abused or neglected. While they have thousands in their care on farms and in foster homes, you can visit about 160 of them at a sanctuary in County Cork, Ireland. It is completely free and open to the public every day of the year except Christmas. Imagine strolling through a colony of over half a million Magellanic penguins. I can’t think of anyone that wouldn’t be in paradise coming face-to-face with these classy birds strutting around in their natural tuxedos. This magnificent penguin colony can be found in Punta Tombo National Reserve, just a few hours’ drive from the Patagonian city of Puerto Madryn. Book your trips carefully though, as the birds are only here from September until April. If you visit during the months of November and December like we did, you may even be treated to the site of thousands of baby penguin chicks hatching. That’s right. BABY PENGUINS! The trip is worth it just for that! Punta Tombo has well-kept boardwalks that keep visitors from stepping on the sensitive ground. This is important, because these Magellanic penguins build their nests under the ground to help shield them from the harsh desert sun. 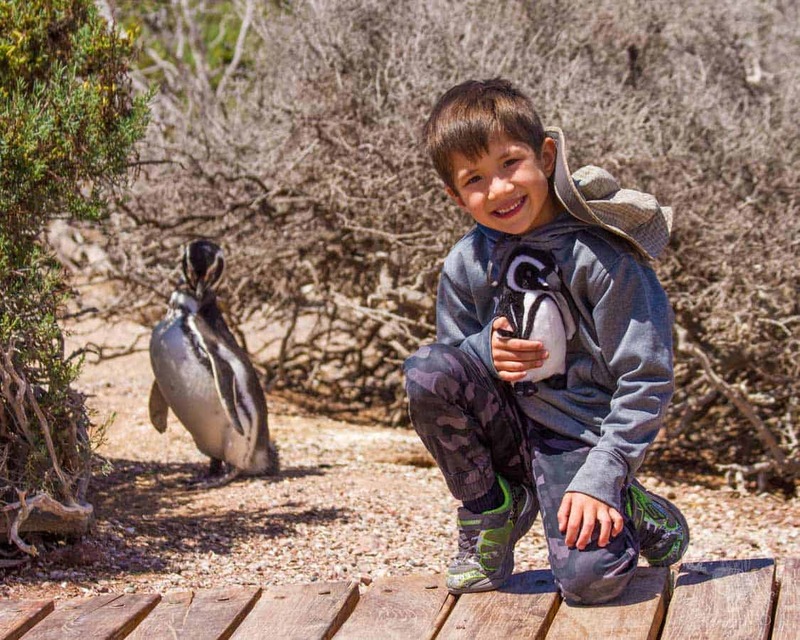 Visitors to Punta Tombo shouldn’t miss the on-site penguin museum either. With beautiful displays and amazing facts about these birds and their close cousins. Did you know you can meet, hold, feed, and interact with birds of prey in Ireland? Visiting the birds of prey is one of the top things to do in Mayo, Ireland and is a very popular thing to do for visitors in the country. The main place you can see birds of prey are at different manors such as Westport House in Co. Mayo. 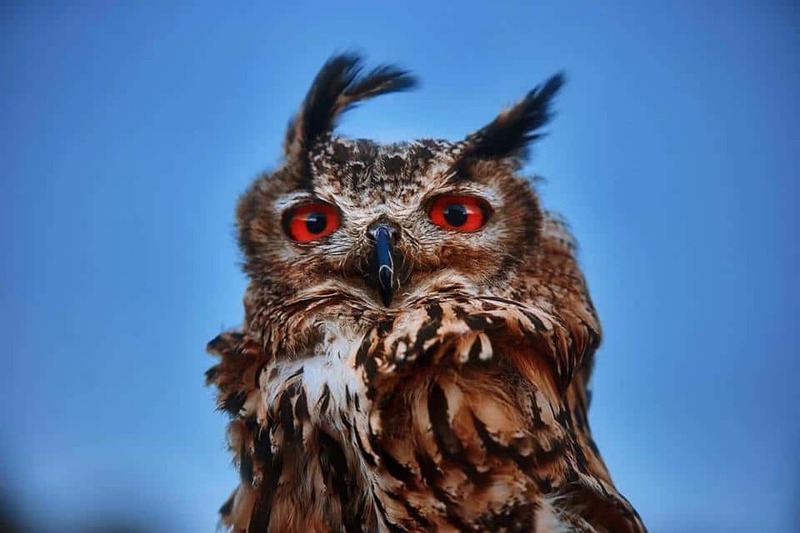 There, you have the opportunity to meet a variety of different birds of prey including falcons, eagles, and the cutest birds of prey….owls!! You may even get a chance to hold the birds using a special leather glove and to feed them with the help of a trainer. The birds will land on your glove, fly to another trainer, and then you will hold up a piece of meat and the bird will fly back into your hand! It is a truly magical feeling to come face to face with these wild predators who are actually oh so cute up close! One of the best wildlife experiences I’ve had was going snorkeling with stingrays and nurse sharks in the cayes of Belize. Hol Chan Marine reserve is one of the most beautiful stretches of the Belize Barrier Reef, the second largest reef system in the world. From either Caye Caulker or Ambergris Caye, it’s quite easy to take the boat out for a day trip to Hol Chan where tons of stingrays are waiting for you! If you’re thinking of Steve Irwin’s untimely demise, don’t be afraid — stingrays are incredibly gentle, and same with nurse sharks — they almost never harm humans, and in Belize the sharks and rays are quite used to visitors. It’s an incredible experience to swim with these huge, misunderstood, yet very docile and beautiful creatures. 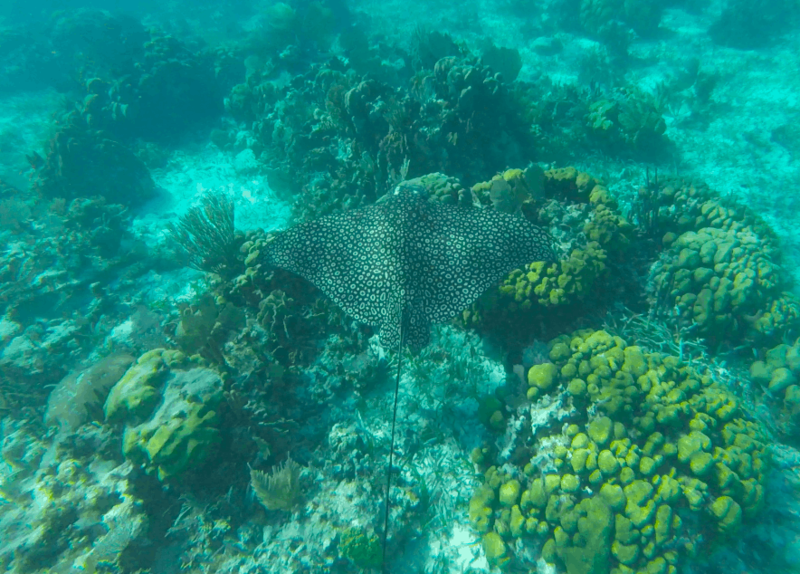 If you’re lucky, you may even see a beautiful spotted eagle ray! Husky sledding is one of those incredible bucket list adventures that most travellers dream about. And having now experienced it myself in snowy Finland, it’s easy to see why! My other half and I embarked on a skiing adventure to Ruka in Northern Finland. But being a Scandinavian country, we thought we should also try other traditional activities there. From snowmobiling, to reindeer sleigh rides and of course, husky sledding, we had an amazing time. Our sledding adventure was with a company called Erä-Susi Huskies and we loved every minute of it! The staff all clearly love the animals and the dogs were positively raring to go! Seriously, they would pelt off like cannons being fired from warships, reaching speeds of over 10 mph, making this a total adrenaline-fuelled activity! You’ll usually have two people to a sled accompanied by 6-8 dogs. One of you will be standing on the back and in charge of the brakes, whilst the other person will be inside the sled under a thick blanket and in charge of photos. 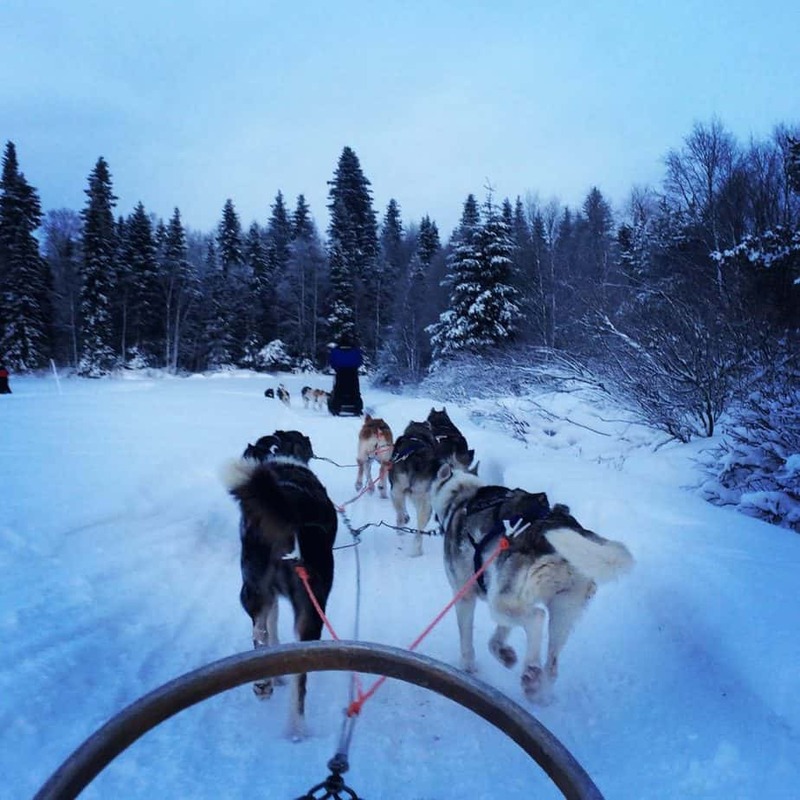 Husky sledding really is an amazing experience – what are you waiting for?! From the moment we woke up to the minute our heads hit the pillow we were surrounded by the sounds and activity of some of the most amazing animals on earth. Going on safari in South Africa is like starring in your own National Geographic show, and is something that everyone should experience at least once in their life. Having front row seat to lions chasing and killing a buffalo to seeing baby leopards playing in front of their den or spending an hour slowly following an elephant herd cannot be described as anything other than magical. Visiting animals in their home as a guest is one of the most humbling experiences I have ever had. Seeing and experiencing nature as it once existed before humans took over will leave you awestruck and breathless, seriously. MalaMala Game Reserve, on the border of Kruger National Park in South Africa was the setting to our extraordinary up close experiences with herds of elephant, buffalo and zebra, leopards, rhinos, hippos, giraffes, baboons, impala, kudu, and more. Any safari in South Africa will leave you aching to return again and again, but we highly recommend getting to a private reserve where you have unfettered access to the animal kingdom with unlimited time on your game drives as well as the ability to go off-roading. Flying into Brooks Camp in Katmai National Park on our float plane, my first thought was when will I see my first grizzly? Landing on the lake, before we even disembarked I’d counted 14! There were bears everywhere. The grizzlies head to Naknek Lake in mid-July to feast on sockeye salmon that are swimming upstream to spawn. There are so many salmon, and so many bears that the bears often don’t even eat the whole fish, just the fattiest, most nutritious part of the fish so they can get ready for hibernation through the long, cold Alaskan winters. Upon landing, the first thing visitors must do is go to “bear school” where they are taught the rules about being so close to these dangerous wild animals. Then if you are camping, you pitch your tent and store your food in the air and odor tight capsules high off the ground so as not to tempt the bears and keep you safe. Then it’s off to one of the viewing platforms where there are so many bears that you don’t know where to look next. 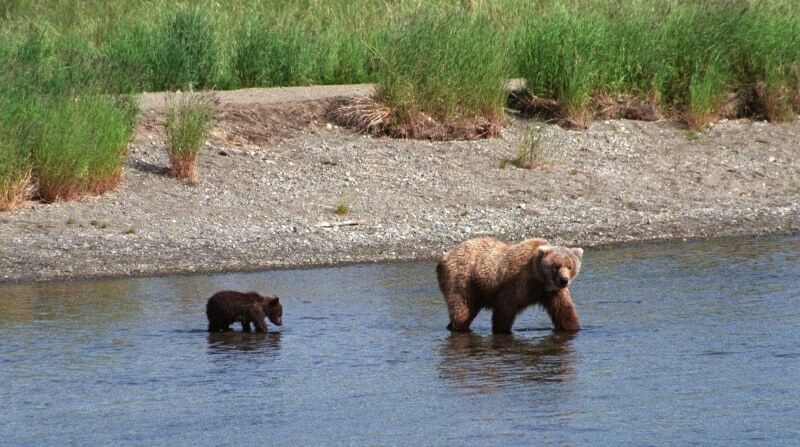 If seeing grizzly bears is on your bucket list, go to Katmai. Coron has been named a few times as one of the best islands in the world. Not only it is blessed with paradise islands, marvellous rock formations, and pristine white beaches, Coron was also a home to few wildlife animals located on Calauit Island. 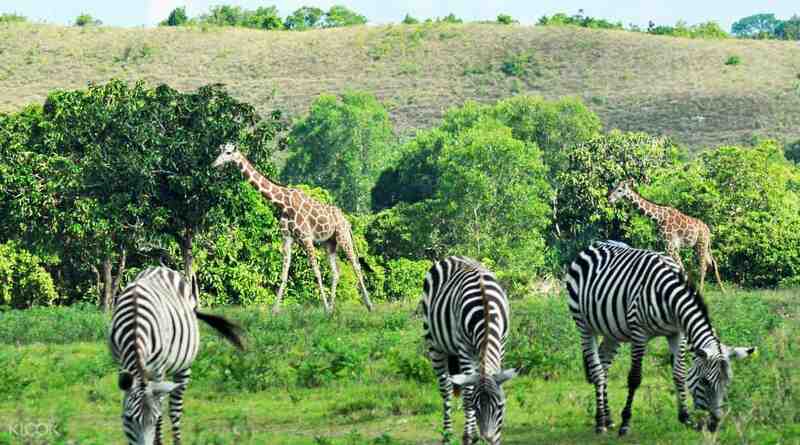 Calauit Safari Park is also known as a piece of Africa in the Philippines. It’s located on an island two (2) hours drive away from the main town of Coron and is only accessible by a boat to get to the island. In this island, you would find giraffes, wild boars, deer of different types, turtles/tortoise, zebras, and a few other more animals of the wild. It would require you to walk to different parts of the area so bring water and umbrella if necessary. Many people said that the funding for this safari park is not stable so the locals are hoping to drive more tourists to visit the place. You may opt to join a tour that would cost around $45-50 or a do it yourself trip that would cost you about half of what the tour providers are offering. You could find tours that fit your liking and budget in the town or book thru an online tour provider. 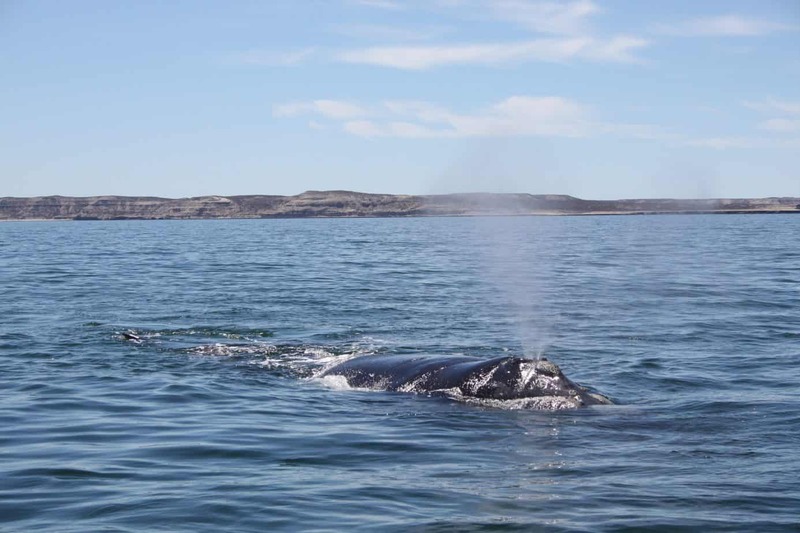 The amazing nature reserve of Peninsula Valdez in Argentina is a popular place to watch marine wildlife. It is not only the curious tourists that come here, National Geographic is often in the National Park to film wildlife encounters as well. One of the best things to do here is whale watching. In the season that goes from June till December there are several boats going from the little village of Puerto Piramides. You can choose to head out on a big boat or on a small zodiac with only a few people. Of course the zodiac is a little more expensive but still affordable. Prices for boat trips range from $25 to $50. To explore the National Park you kind of need to rent a car which it is a little adventure as there are mostly dirt roads. But therefore the whale watching tours are not too crowded and whales are not shy at all. They come up to the boat and breach right in front of it like they want to play. Another great thing to do is to rent a bike and drive around the National Park. There are amazing viewpoints and some beaches were whales come as close as 20 meter from the shore. Bali is by far and away the most well-known destination in Indonesia. Yet, with hundreds of islands, there are so many diverse and interesting places to visit in Indonesia. This includes the northern tip of Sulawesi, where you’ll find Tangkoko National Park. 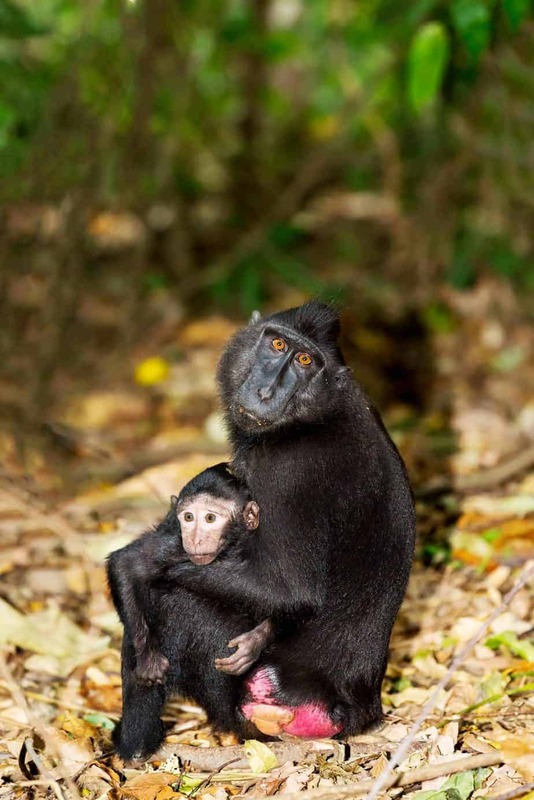 The main drawcard for me was the endemic black crested macaques but some prefer going to visit the small tarsiers usually found hiding in the trees. These crested black macaques are entirely black except their bum, but our guide (best option) knew the park like the back of his hand and soon found a whole crew of black macaques (30 – 40 if my memory is correct). They weren’t intimidated by our presence as they went about their daily lives, playing, climbing, washing, and picking their bum. All the usual shenanigans monkeys get up to. We spent 45 minutes sweating up a storm in the presence of these photogenic mammals before sunset meant it was time to leave. I vividly remember this wildlife experience in Indonesia. Indonesia is one of the best scuba-diving destinations with an abundant marine life, including the one-of-a-kind Wobbegong Shark in Raja Ampat, Papua. Forget what you think sharks look like. 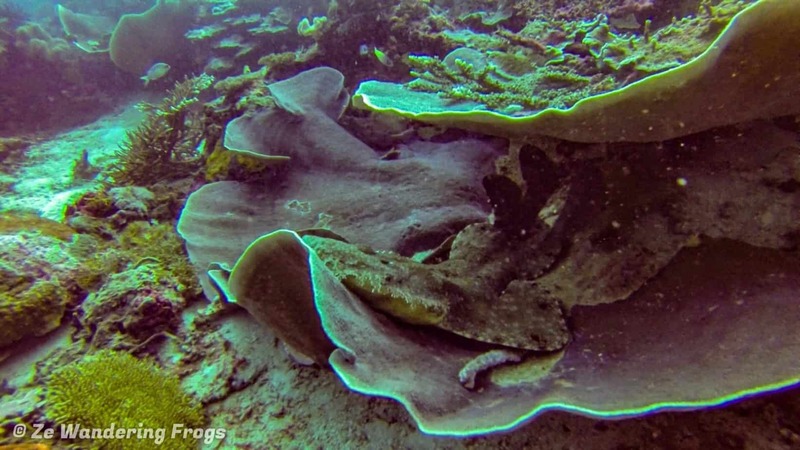 Flat, camouflaged and barbed, better describe the fantastic-looking Wobbegong shark. The patterned sharks are called carpet sharks as they dwell on the bottom of the sea, and their whisker lobes add to their cover as they hide among rocks, corals, and sea anemones. Contrary to most sharks who attack their preys from underneath, the Wobbegong is an ambush predator that waits in its hiding spot to capture small fish passing by. They are however not dangerous to humans unless divers bother them, and you can get relatively close to admire their unique features – that is, once you notice them in their cache. The first time I saw one came as a real surprise as I passed by it twice, not understanding what our divemaster was pointing at. There, under the crack of two tocks, sleeping like nothing else mattered, laid a large Wobbegong shark. I suddenly noticed its two eyes, followed by the top of his jaw and floating whiskers. Only then did I realize what I was facing, how large the animal was, and how close I stood to it. If one can do a double-take while diving, that’s what I did. From that moment onwards, I made sure to look and check under every small crack of space, in the hope I would see another one of the gentle beasts. We would be lucky to see them on a couple of more occasions – what a thrilling experience! When my husband and I were trying to pick our honeymoon destination we were able to narrow down two main things we wanted. He wanted a tropical paradise, I wanted to see wildlife. 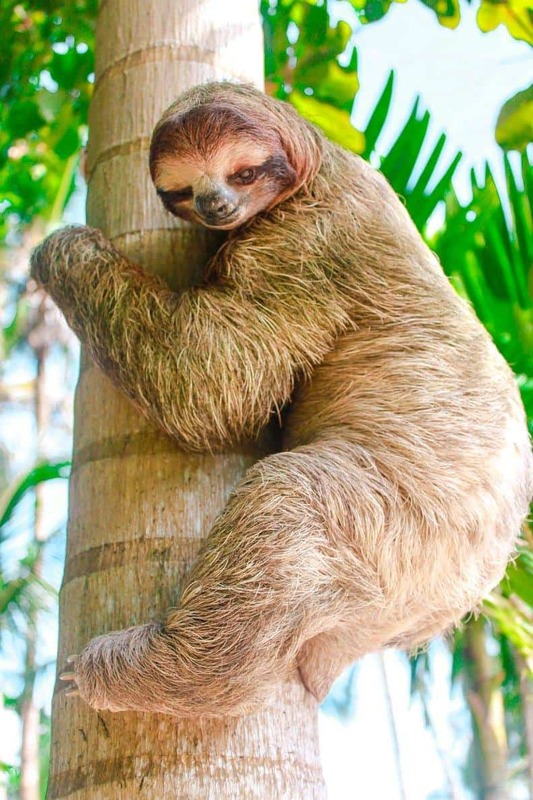 We narrowed it down to Costa Rica because of one simple, slow animal: the sloth. Sloths in Costa Rica are abundant. Simply put, they’re everywhere. But that doesn’t mean you will see one. Without a guide to point one out, sloths are easy to miss. They blend into the leaves they sleep in and they rarely move during the day time. On a good day, sloths move 4 meters per minute, making them hard to spot even when they’re on the go. Luckily for us, we went with a guide everywhere, and total, we saw over 20 sloths during our stay in Costa Rica. But I want to talk about one. On our last day in Costa Rica we were eating breakfast on the beach when my husband shouted “Look!” Not even 30 feet away a three-toed sloth was making its way down a palm tree. For the next 45 minutes we watched this slow, amazing, sort of alien-like creature cross the beach and find a new tree to climb up into. I could have grabbed him and hugged him he was so close. But, as we should with all animals, we kept our distance and just admired his slowness and adorableness. This moment brought our trip to the perfect end. After seeing sloths through binoculars and seeing them high up in trees, being able to be so close to this one, ah. I will never forget this moment. Have you ever looked at a photo of a seal and thought “Wow, those things are adorable?” Well, I have too – many times! 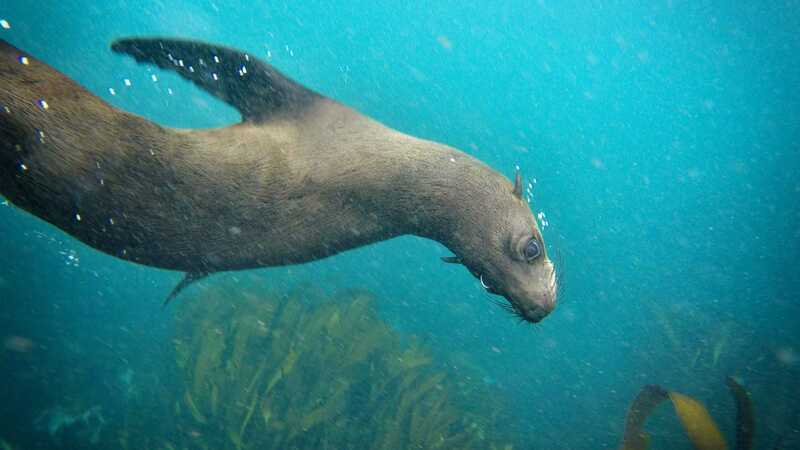 That’s why when we were in Cape Town I jumped at the chance to go snorkeling with the famous Cape Fur Seals. From Hout Bay, there are a handle of providers that will take you out with a small group to a cape fur seal colony. Then with wetsuits on and snorkel in hand, you can jump into the Atlantic and get up close to the seals. It’s one of the most memorable experiences I’ve had in all of Africa as it is unique and safe! Once in the water, you will find that the seals are everywhere and the young pups will even come up close to you as they are very curious about us! We personally went with Cape Town Bucket List who were fabulous and provided excellent wetsuits (which you will want – it’s freezing!). The best part of it all is the whole experience is only 750 South African Rand ($50). The Galapagos Islands is one of the few places on the planet where you actually have a chance to swim with penguins. 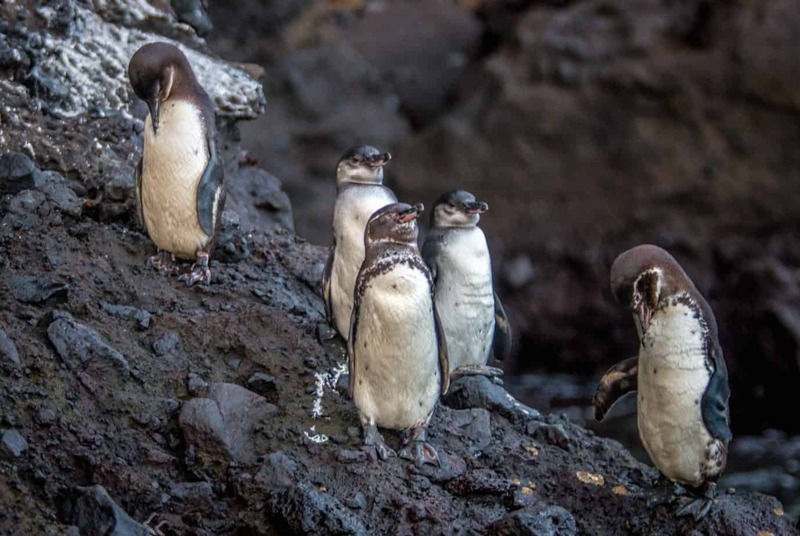 The extremely rare Galapagos Penguins are primarily found on the western islands of Fernandina and Isabela, but you can sometimes see small populations on Bartolomé, Floreana, northern Santa Cruz, and Santiago. You’ll often see them sunning themselves on the shore, or shooting through the water like rockets in search of fresh fish. But we lucked out while snorkeling around Bartolomé. A pair sat on a rock just off shore, watching our tour group closely. Eventually they jumped in the water and swam circles around us, slowly, as if they were curious. We ended up swimming alongside them for over 23 minutes: I tried veering closer to the shore and they actually trailed along beside me! We considered ourselves VERY fortunate, as our guide said this was the first time it had happened in her 17 years of working in the Galapagos! 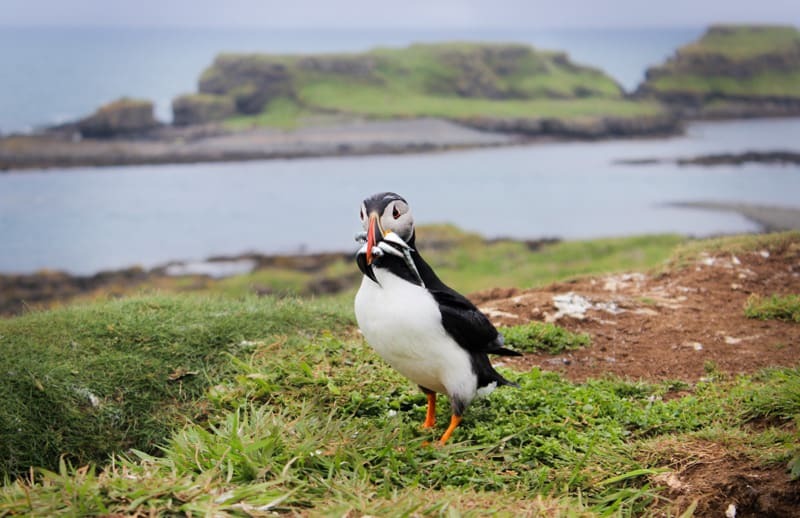 We had our first attempt at seeing Puffins when we visited Iceland but unfortunately, bad planning and bad weather meant we missed our opportunity. When I realised we would be in Scotland during Puffin Season, I was not going to miss another chance. The Isle of Mull seemed like the perfect spot, enticed by the high chance of seeing puffins and a Hebridean experience without the crowds that flock the Isle of Skye in the Summer. Our tour with Staffa Tours departed from the largest town on the Island, Tobermory, the boat set off to the Isle of Lunga a small uninhabited Island. Stuart, our guide, was incredibly passionate about wildlife, he eagerly spotted birds for us and then would give the kids a great talk on each species, including recently uncovered scientific facts, being only 3 and 6 I didn’t think they would be so engaged, but his passion was infectious. Across the rocky foreshore and then up the grassy hillside to find our position on the cliffs where the puffin nest. With our presence, the gulls, which are the main predator of the puffin, are scared away. This meant that the puffins took the opportunity to come back to land, beaks full of small silver fish, they ducked into their burrows to feed their pufflings. The longer we would stay the more comfortable they became, soon dozens were resting on the cliff, bright orange beaks, curious eyes and a walk like a determined toddler, they really are the cutest of birds. An unforgettable experience. The Everglades National park in Florida is considered to be one of the largest wetlands in the world and spans 1.5 million acres across Florida. It’s grass marshes, mangrove trees and hardwood hammocks are home to over 60 endangered species, including the Florida panther and West Indian manatee. While you may not have the rare joy of meeting a Florida panther on your trip to the Everglades, you will undoubtedly come across one of the Everglades most prolific species – the alligator. 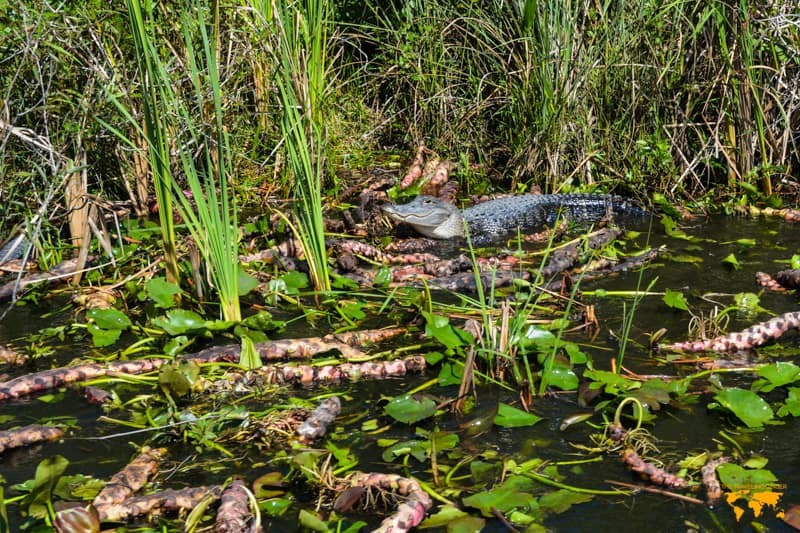 Whether you decide to experience the Everglades by walking one of the many walking trails, or by kayak on the many marshes, or by airboat, you are bound to come across several alligators. It is not uncommon to count over 50 alligators when gliding across the Everglades with an airboat. The Everglades is a truly magical part of the United States and the wildlife there is like no other. To see so many alligators and bird life, all in their natural habitat, mostly undisturbed is incredible. You can get pretty close to these gators too! You can experience these alligators and an airboat tour of the Everglades with Coopertown Airboats – one of the few licensed airboat operators in the Everglades, and who have been there since the 50s. Long before we visited Ecuador, experiencing the Galapagos islands, and all the amazing wildlife it had to offer, was high on our bucket list. Unfortunately however, we didn’t realise how how much it would cost! 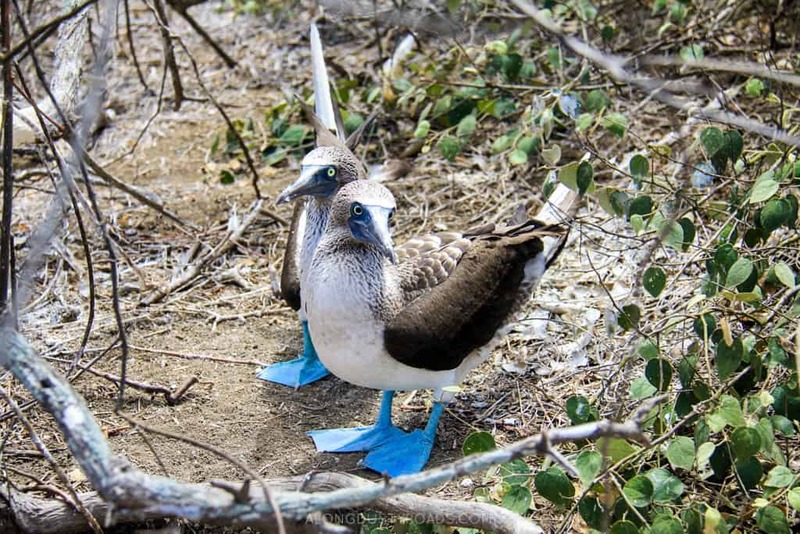 Thankfully, one of the animals for which it is famous, has made an alternative home on Isla de la Plata – or as it is known locally, ‘the poor man’s Galapagos’. Only accessible by taking a tour, this small protected island, located off the coast of Puerto Lopez, is home to hundreds of the funniest looking birds we have ever seen. And they’re not shy. They sit on nests under bushes or upon small branches, regularly patrolling the area they deem as their own, and watching you, watching them. Surrounded by brilliant aquamarine waters and bright blue skies, we can’t think of a better place to see the famous blue-footed boobie for the first time! 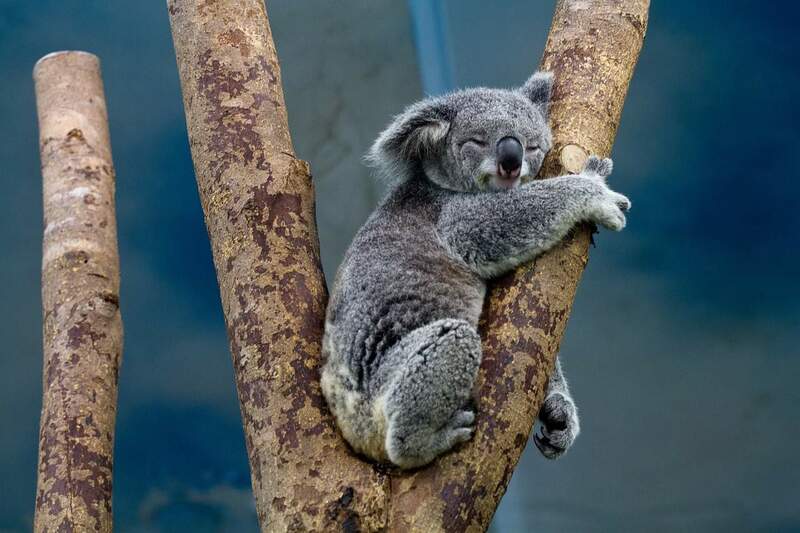 Last but not least is the koala, my favorite animal and undoubtedly one of the cutest critters alive. Koalas are not bears, as you might be lead to believe. They are marsupials, which means they have a pouch like kangaroos, wallabies, etc. These vegetarians feast on eucalyptus leaves and other greenery and when they’re not lazily munching on food, they are probably sleeping. Koalas generally sleep around 22 hours per day, or basically, most of their lives. Not a bad way to spend your days! You can see koalas in the wild in Australia. You might happen across them when driving, as we did. A great spot to look for them is in parts of the Great Ocean Road where they are hanging about in various trees. If you’re really keen, you can head to a wildlife sanctuary where you may be able to pet or even hold these sleepy cuties. Koalas are definitely a must for the wildlife bucket list. What’s been your most amazing wildlife encounter? Share with us in the comments! That must have been the most incredible adventure! I follow guides on fb who take guests out, their pictures never fail to amaze. May I ask who you went with? Here’s some additions to spending time with the pandas in Chengdu, tiger safari in India, sloths, my encounter was in the Peruvian Amazon, Uganda, Rwanda, DR Congo gorilla trekking. That may be it…I’ll of course remember another amazing trip once I hit post! Oh!! Yes, I forgot the week I spent at Camp Leaky on the Indonesian part of Borneo with the orphan orangutan and my whale shark adventure off of Isla Holbox near Cacun Mexico. Penguins, blue footed boobies and condor in Peru. I’m always looking for more wildlife to see in their natural habitat. I have yet to go to Australia. I’ll head there before too long. Haven’t been witness to hatching turtles yet either. Always something new to encounter! 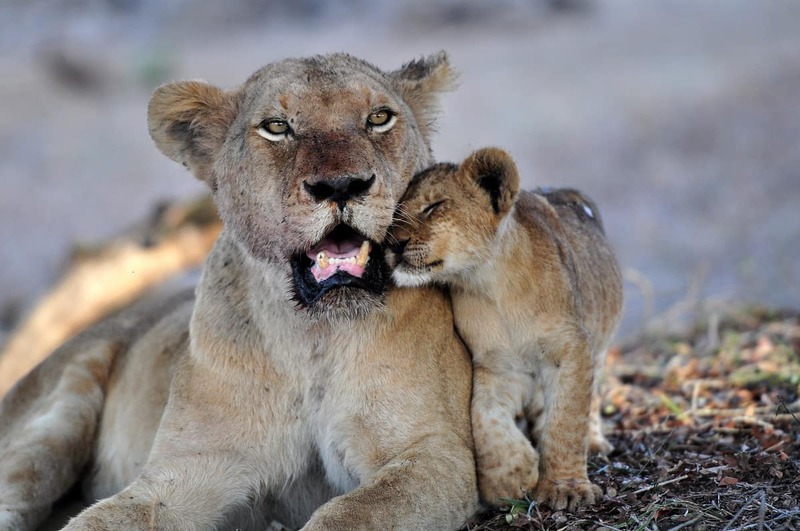 What a wonderful compilation of ethical wildlife tours to do around the world. 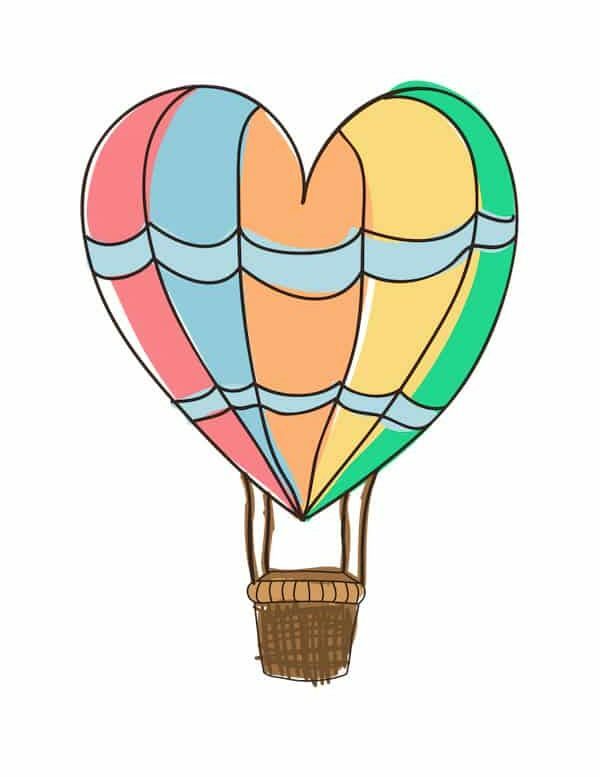 Fantastic blog!. Thank you.